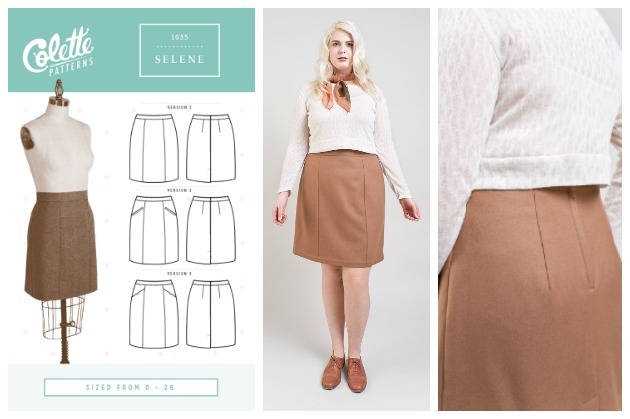 Colette Patterns' newest design is a classic yet modern pencil skirt. This wardrobe staple is professional, fun, and flattering - Selene’s body-hugging shape shows off your curves no matter what. The Selene skirt combines a contemporary silhouette with timeless details such as a lapped zipper, welt pockets, and a finished vent. 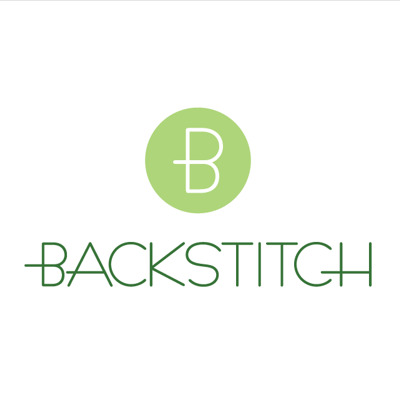 Take on a new sewing challenge and tackle the welt pockets on Version 2, or enjoy the simplicity and ease of sewing Version 1. Get cozy in the winter and layer Versions 2 and 3 with tights, a chunky, cropped sweater, and high-heeled ankle boots. Then keep it simple during the summer with a sleek, silk blouse and strappy sandals. Fabrics we would recommend for the main skirt are medium- to heavy bottom-weight fabrics, such as wool suiting, broadcloth, boiled wool, denim, chino cloth, and other twill fabrics. For the lining, choose a lightweight polyester, cotton, acetate, silk, or rayon lining fabric. Check out our 'Suiting and Mid-Weight Wovens' and 'Denim & Canvas' categories for fabric ideas.